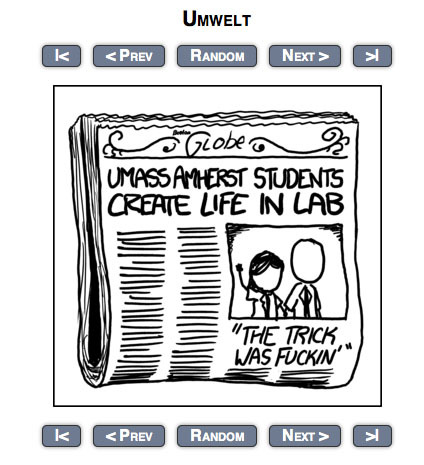 I'm at the University of Massachusetts, and we have a variation of a previous one with an abbreviated school name! Re: PyP Day 3 Round 1 IT'S SUPER EFFECTIVE! I'm feeling more than a bit lost in this game, I suspect it's because I've not had anyone to talk to at night time. But I do know that anti-town is not good. Knowing that it won't start until Vanilla or pyp ends, I would very much enjoy to play in this game. After returning, all I can say about this game is. Wow, this game is crazy. Re: PyP Day 4 Round 1 LOLWUT? Wow, this game seems to have moved the most since I went away. Before I left there was no knowledge about any cults out in the open, now there is quite a lot. But it's night time so.. *hoot*, *hoot*. With less than ten minutes before the deadline, I really do not believe that Ameretrifle should be lynched by chance, as (s)he has been quite active, and not very scummy so far as I can tell, so I would rather lose the lurker/nonactive person. Oh, I'm sorry I wasn't entirely clear. I meant mafia in a game with a jester. Townie that makes everyone angry: You change the effect of every player's role to a random ability until you are lynched. 1/2 votes to be lynched. Topic: Mexican Standoff: Mafia Victory. Re: Mexican Standoff: Mafia Victory. Hahaha, it seems like I missed more of this game than I played. Re: PyP Day 2 Round 1 DELTA SQUAD! FORM UP! I read through this whole thread again after coming home, getting ready to post my thoughts as the title still says day 2, and I find out that it is night time. Oh my, I return after a three day weekend.. and it's nighttime.. again! I mean.. hoot.. hoot.. hoot. Aww, the heck with night time and vote counts being reached, a death match must be voted for! 8. Tigerlion sez: "The Cubed Root of 8 is 2"
I've decided that Trumpkin warrants a vote from me. kleptoman wrote: To make things interesting. Missed a page, lemme go read that. Sungura wrote: Actually, I don't drink. Never have even tried it. I'm finding Trumpkin highly suspicious, both for his defensiveness with SuperTD, and then his lack of a defense once he was accused. oneofthedragon wrote: Everyone but TMP. He was found dead in his house. I would assume this means TMP's house. Oh, and F11 newbie, I dunno if I count as IC or not but I would be "game" for playing in any way, shape, or form. Oops, I forgot to actually comment. I feel that OOTD, has made it clear that the game is very focused on "cults". And the requiting of cults. So perhaps it is possible that both MAJ and Amy are in a cult that grants them some sort of detection ability? Re: PyP Day 2 Round 1 FURIOUS ATTACK 5 GO! Rodan wrote: In my experience he is kinda always like that, but I am not very perceptive. But from reading the games, this doesn't really seem far from the norm. Not unless you want to be the second one to eat it. And even if you say yes it won't matter.